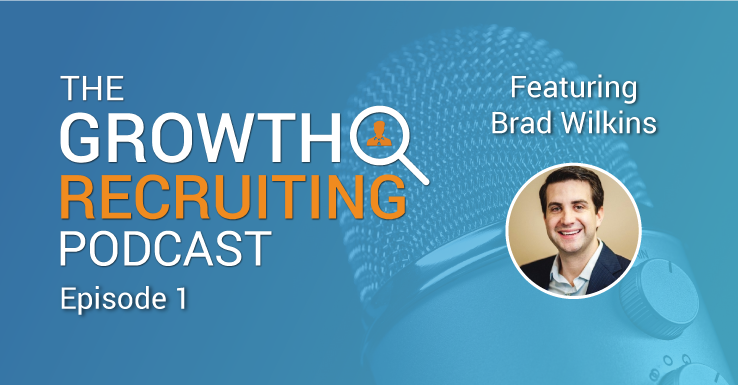 Jen Paxton, Director of Talent at LevelUp, drops in on The Growth Recruiting Podcast and dishes on how her team built the #1 place to work according to the Boston Business Journal. 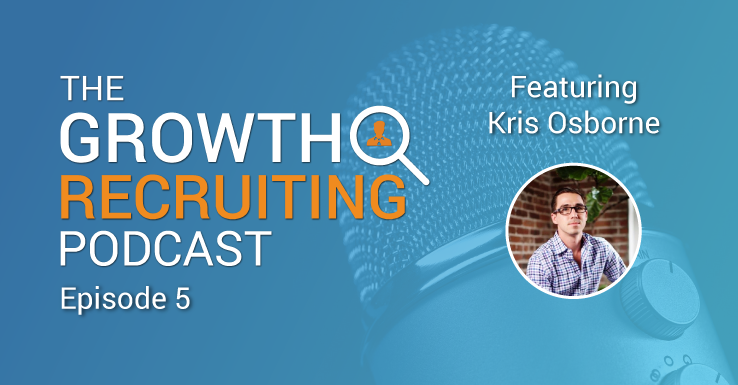 You’ll learn Jen’s candidate experience strategy, goals, and the pillars to her hiring process. She also offers advice on how to get out of your comfort zone with HR technology. Get ready to level up your recruiting! 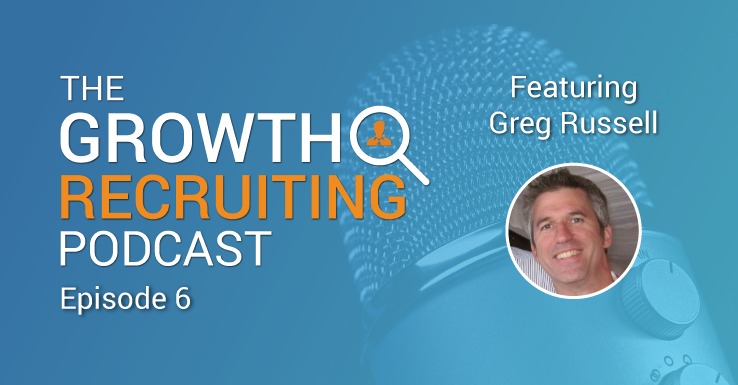 The Growth Recruiting Podcast is available in iTunes! Josh: Today I am joined by Jen Paxton, the Director of Talent at LevelUp, which is building next generation digital experiences for over 200 brands nationwide empowering businesses to engage customers, grow sales, and build a longterm scalable digital strategy. LevelUp was ranked the number one Best Place to Work by the Boston Business Journal and named one of the top 10 Boston Globe Best Places to Work in 2017. 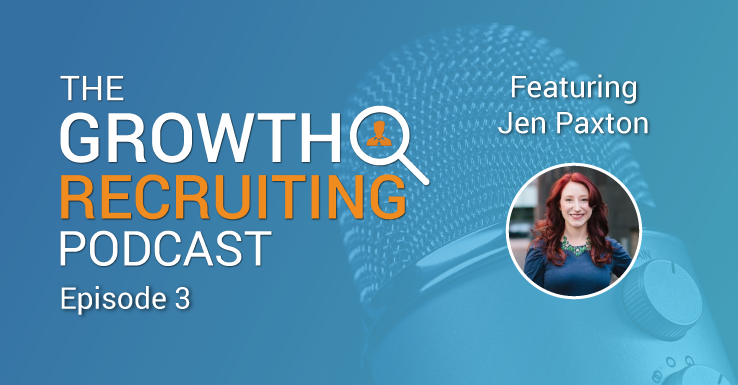 Jen joins the podcast with an amazing track record in HR and talent acquisition at some of the fastest growing companies in the Boston area and I’m excited to chat with her today about the strategies and initiatives that she’s been a big part of. So Jen, welcome to the show. How’s it going today? Jen: Good. Good. Thanks so much for having me. Josh: For sure. I’m excited to chat with you, so probably best place to start, give us a little bit of an introduction to yourself, your current role, company, anything you want to share. Jen: Great. Yeah. So it’s probably worth noting that I did not start off in a recruiting background. Um, I actually graduated from the Boston Conservatory within master’s in vocal performance back in 2008. And then I was actually going on a lot of auditions and was not finding a ton of auditions being very lucrative and kind of financially lucrative, really. So I actually started working at a recruiting agency called Job Spring Partners, and that’s kind of how I kind of cut my teeth was on the agency side. I was working with various tech companies here in Boston, mostly placing system administrators and network engineers. I did that for a little while and then hopped over to another agency to place people on contract and temporary roles as well. I had so much repeatable business, and I really liked that kind of opportunity to foster relationships and really focus on one company. So that’s when I made the switch to an in-house corporate recruiting role. Started working over at Fiksu, which was this mobile marketing company. I actually joined them when they’re about 150 people and grew them to over 300 in that first two years! That was amazing and crazy all at the same time. That first year I was doing most of the recruiting on my own and then on that rapid growth kind of warranted us to bring on another member of the recruiting team. I recruited basically everything on the company side from sales to finance to engineering, and also learned how to really work on a really lean recruiting budget over at Fixsu. Then I did a small session at this company called Logentries before they got acquired by Rapid Seven. And then after Rapid Seven, joined a very small startup called TrueMotion they were actually a team of 20. And they wanted to really start rapidly growing. So in that first year I grew them from 20 to 40 people and we moved out of the Harvard Launch Lab into an actual space in Chinatown. So that was my first kind of real, kind of grassroots startup and now I’m over at LevelUp, being able to grow their team. I actually started with them at about 150 and now we’re about 216. It’s really been a great experience. Helping the company scale, improve efficiencies in their interview process, and just try and scale faster and smarter. Josh: That’s awesome. Yeah, that’s really cool. I love a lot of the things you’re saying. 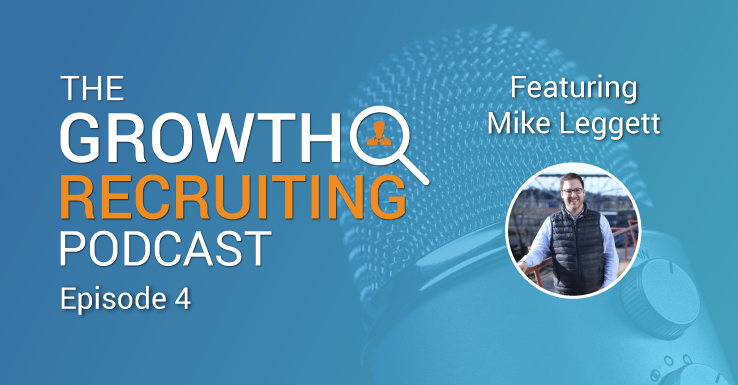 I love the idea of running a lean recruiting operation because you really have to maximize every tool and every strategy and really every channel to produce good recruiting results. I think it’s awesome that you’ve recruited for so many fast growing startup companies. I mean, like you said, growing from 150 to 300 people, like not many people get that experience to work at a company and handle talent for a company where you’re literally doubling the company size in a short period of time. So I’m sure you’ve taken away a lot of learnings from there, but I’m interested. So you started on the agency side, Jobspring, Robert Half, and then you moved into the corporate side. So what was that transition like? What were some of the learnings from your staffing experience that you took with you to the corporate side? Jen: Yeah, well I think starting off on the agency side is really valuable, especially if you’re going to go to a company that is scaling or growing quickly, which I feel like so many startups in Boston are now in that kind of rapid scaling, kind of rapid growth phase. Really at an agency, I learned how to get comfortable working with high volume reque’s and managing multiple hiring managers with various competing personalities – no, some competing priorities, not personalities, sorry! Josh: Maybe a little of both. Jen: True. Kind of getting exposure to working in kind of that fast paced environment where, things change a lot. I think I developed kind of this hustle mentality that I just kind of kept as I went in-house because you think that things might slow down when you go in-house, but nope, they move just as quickly. Especially if you’re at a high growth startup kind of like LevelUp is. I think kind of getting that foundation at the agency also helps, if that agency has high recruiting standards and also if they have a solid training program, which I’m both Jobspring partners and Robert Half, the agencies I was at, had a really solid technical training program and just kind of solid recruiting training program. Josh: That’s awesome. Nice. So let’s talk about current company Levelup. So if I were a candidate, because I’m assuming that’s most of the people that you’re talking to on a daily basis, if I were a candidate, how would you explain to me what you guys do? Jen: So I’d probably just start off first by saying I joined Levelup because it was disrupting the market and in high-growth mode. So what Levelup does is we empower restaurants to capture and engage both existing and new customers everywhere. So that’s where they live, they work, they play. We provide a seamless digital ordering/payment and loyalty experience for these consumers. Level up is extremely employee-focused and I’m really proud actually to work with such an inclusive and collaborative group of people. Josh: That’s what it seems like. I was checking out your guys’ careers page, and a lot of the content you’re putting out. It seemed like a really good, diverse, fun group to be a part of. So that’s really cool that you’re a part of building that. So you said about 216 people now. What’s the breakdown of engineering, support, and sales? What does that look like? Jen: Yeah, I would say we have a really strong focus on engineering and support. If I had to give you complete, formal numbers, on the engineering side, we have about 89 people. This includes software engineers, mole? developers and product managers. On the support side we have around 56 support professionals, which includes both our bilingual and our English-speaking support professionals that are working daytime overnight and weekend shifts. And then we have about 27 people that makeup our design and marketing team and some sales people are in there too. And then G&A is about 21 people and then our account managers and strategic partnerships make up about 23 people. So I did my math right. I think that is around 216 people. Josh: Sounds good to me. We’ll call it that. So, recruiting for positions and they all span, you know, a variety of skillsets. I think you even said something about bilingual support team. So how many people are on the talent team? Jen: I have a three person recruiting team. Pretty lean here at Levelup. We have a technical recruiter, Pat. He’s amazing. He has a great growth story. He actually started off at Levelup as a sales co-op from Northeastern. He did really well in his co-op and my predecessor, Aneek, saw a spark within him that he might be a great member of the recruiting team. So when Pat graduated, they reconnected and Pat joined our team as a coordinator. 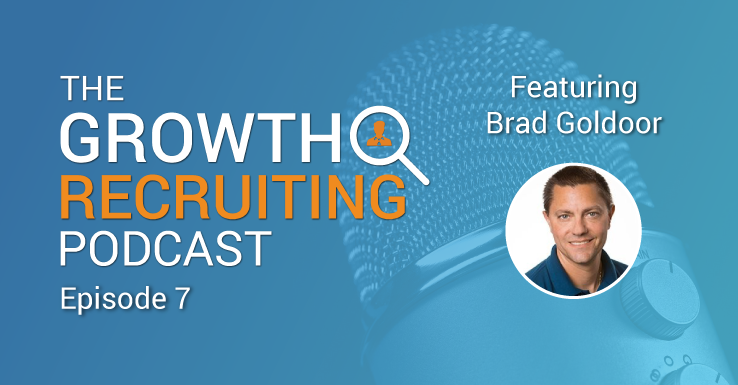 Pat has actually grown, with the team to take on full cycle recruiting and now he actually is handling most of our technical recruiting. We also have a very bright co-op Lauren on the team. She’s handling some of the coordination now and a few other projects. I see that kind of same spark in her and I’m excited to have her continue her growth at Levelup and join full time when she graduates in May. Even though I said we’re a team of three here at level up, it really is kind of an “all in this together” mentality. So really everyone at level up is a member of the recruiting team. A good portion of our hires actually come from referrals I think are actually around 30% at this time. Josh: Nice. So what are the goals this year? Do you guys have like aggressive targets? You’re trying to hit a certain number of people, you’re trying to hire, double staff. What does that look like? Jen: Yeah, so I came on board right after we received $50,000,000 in funding from JP Morgan Chase last May. So this really kind of paved the road for us to hire about 50 new employees before the end of 2017. So 2017 was really our breakout year. We pretty much doubled the entire company in size, we rolled out a new product called broadcast and that support team that I talked about tripled in size that year. So the 2018 hiring for us right now is more going to be about strategic hiring. So in the month of January, we actually hired 17 new employees, mostly mobile developers and members of our support team. So looking forward at the growth for this year, things can definitely change from our new partners and potential new product developments, but we’re not going to probably have as rapid growth this year. I think it’ll be a little – knock on wood – slower at this point. Josh: Well it sounds like either way, if it was fast you’d be ready for it. Josh: Cool. So I was doing a lot of research, I was a scanning of your linkedin profile in heavy detail and it looks like I found several consistent themes across all the companies that you’ve worked at, talent acquisition strategies that you’ve been involved with. So, correct me if I’m wrong, but these seem to be big things to you: using modern software and tools, and I see it looks like you’re using lever right now at levelup as, as your ATS, employee branding, candidate experience, company culture, career growth. These all seem to be the big focus points for you. Is that fair to say? Josh: For sure. That’s awesome. So I guess let’s go through some of these points, rapid fire here a little bit. We’ll dive into each one and hit on them because I think it’s, I think it’s unique. I think definitely when I was looking at your experience like it’s very unique that you’ve been able to bring all these things together and just come up with like a really cohesive recruitment strategy. I think there’s a lot of companies that do one of these things or some of these things or they do all of them, but they don’t really do it that well. It seemed like you guys really have your ducks in a row. So it was pretty cool to see. So I want to touch on each thing very quickly. As we’re talking about modern tools, I know we talked about Lever as your ATS. And you mentioned that it’s obviously really important if your recruiters and your hiring managers don’t like the software you’re using, they’re probably not going to use it very much or use it very effectively. So obviously that has a big impact on the results that you’re seeing. So for the people that are listening for people that are in talent acquisition and they’re thinking about trying new tools or new solutions, like what can you say to them that will help them get out of their comfort zone? Because a lot of times people are just satisfied with the status quo and they don’t want to try something new. So what would you say to people to get them to take that next step? Jen: Yeah, I would probably, you know, even take a step back. So it doesn’t have to be the newest or the hottest tool out there. I mean, I have some tools that I’ve used, you know, linkedin, is a tool that is been around for a long time. It’s tried and true. I’ve also used Stackoverflow that I’ve also been using for years. So it doesn’t have to be kind of the hottest, or newest tool out there, but it needs to work for your team. So you really have to look internally, ask yourself the question, “What is this tool going to do for my team and is that actually going to impact my team’s productivity?”That’s a big thing to talk about first. And some of the newer tools out there, they may be great, but also some of them are just repackaging of kind of the same ineffective tools from before that I used, but just maybe have a better UI potentially. Or a better, you know, X. You really do have to think about, “Is this going to make my team more effective?” And if it isn’t then move on to something else or explore something else further. I also think getting sandboxes from vendors is important as well so that you can kind of use the tool and see if it’s gonna work for you. There have been tools that I’ve signed up for on contract before and I’ve gotten into using them and for some reason or another, my brain just does not work the way the tool wants it to work. So being able to actually try out the tool first and make sure that my brain is going to understand what’s going on with the tool and it’s going to work. That’s really important as well. Josh: Nice. 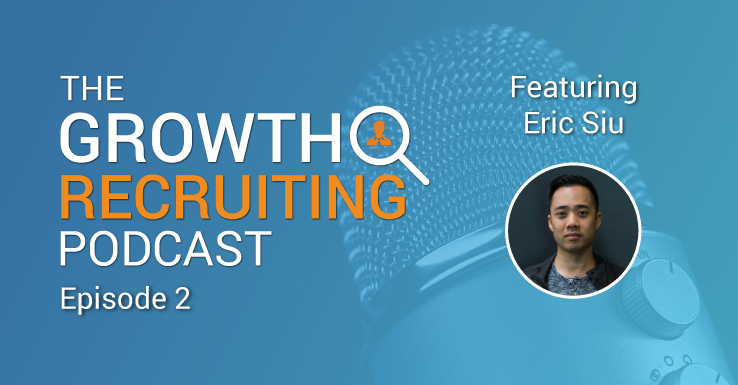 And so as you guys were thinking about the tools that you’re using in your recruitment strategy, are you like meeting as a team and coming up with goals or things or metrics that you want to improve on and then trying to identify certain tools that you’ll want to look into in the future? Like are you planning ahead, you know, let’s say 90 days from now, you know, we’re hoping to have looked into, tools x, Y and Z or what does that planning process look like for you guys? Jen: Yeah, we’re definitely thinking about the tools that we want to use and actually trying to think as strategically as possible on what’s going to help us. Trying out anything that’s going to maybe streamline our interview process or potentially even in our sourcing process. I talked to a good amount of vendors, at least at least one vendor a week now, where they will do a demo with me on their product and I have a running list of all of these softwares and I’m kind of seeing if that solution is actually going to solve a problem that I have right now or, as you kind of alluded to it, is it going to solve a problem in the future? Um, that I feel like that regularly occurs at this point. Josh: Right on. Let’s jump into employer branding. Obviously this is a big focus for you guys and definitely a strong point. I mean, number onebest place to work. It’s not a bad honor to receive but that definitely doesn’t come without strategic efforts being put towards, achieving that type of goal. Right? I mean, it’s not just something that happens. You guys definitely have a big focus on it. So what are you guys doing right now to showcase your employer brand to tell the story of your employees? Like what do you guys doing? Jen: Yeah, I mean, I honestly think it is a team effort. Like I don’t think one person creates the employer brand. We’re using our entire team to really help us define our brand. It’s the people that are working on the product really shape it, getting an understanding of what they do and why they joined Levelup is important to help us actually create a story. What makes them stay at Levelup and the things that they’ve learned while working here. I feel like that ignites these talking points from me when I’m talking with candidates on my phone screens or when we talk with people on site. I can talk about these individual employee stories and that helps the candidate to personally engage with members of our team. Even if it is not a candidate that is interviewing for a specific role that this other person has been on, but showing and talking about the growth path, that employees have had here. That just alludes to the the employee-first nature, that Levelup has. Josh: Sure, sure. And you guys do a really good job though of not just building that but showcasing it. So just in my communication with you, I saw in your email signature you’ve got a link to your glassdoor profile, you’ve got a link to an article about you guys being a best place to work. So it’s something that you’re strategically inserting into these touchpoints with your candidates. I’m on your careers page, I see quotes from employee testimonials from people that work there. It seems like you guys have a really well thought-out approach to making sure that not only do you have a good employer brand, but you’re showcasing it and you’re telling that story and you’re getting that content in front of candidates. Jen: Yeah. We can help the information to the candidate marketplace pretty much trying to leverage any publication we can. We work with VentureFizz, we work with Belts in Boston. We post things on our Levelup blog. Another thing that we implemented recently, about two months ago at this point, and we did an office tour video and so we have put that into our phone screen. So anybody who gets a phone screen invite will also get a link that says, “To familiarize yourself with Levelup, take a look at our office tour!” and it goes through our entire office, it talks about all of our employee perks, you get to meet some of the people in the office and hear from them why they joined the company. So it’s just another way for us to highlight our kind of culture to potential employees.
. Probably didn’t seem as professional as the one it sounds like you guys have, but we did like a selfie-style tour just showing the different floors of the office and the different spaces and I think it goes a long way. I mean it really gives candidates – because they’ve never stepped foot in your office – so it kind of gives them an idea of like the type of people that work there, what are people dress like, what are they doing and what’s the energy like, what does the office look like. So it’s a good behind the scenes differentiator I guess, right? Your candidates are talking to other companies too, so those are the types of things that definitely sets you guys apart. So that’s awesome. You guys are so ahead of the curve there. So let’s talk about candidate experience. Is there anything you guys are doing strategically to focus on the candidate experience? Like making the whole hiring process better for the people that are trying to work at Levelup? Jen: So I think candidate experience is really important. Each time somebody interacts with our company, it’s important. So I think going in with that mentality that how we treat every candidate impacts the overall experience of Levelup. So having the mentality of even if they’re not the right fit for this position that they’re interviewing for right now, they may be a fit for the future or they might know somebody that knows, somebody that might be a good fit. So I feel like making sure every candidate has a great experience at Levelup has been really important. So we try and train our managers on that. We’re going to be rolling out later next quarter at this point, a candidate survey so we can actually just improve our process. But we also have started to build in this baseline for interviewers. So not just asking the candidates what they’ve done, in each of their roles, but focusing on specific traits that the hiring manager thinks would be a good attribute for the person coming into this role. Having those focused interviews to be specific to one or two traits I would say that’s also improved our candidate experience and I feel like it makes it more enjoyable for the interviewer and for the candidate because they’re not asked the same question, during five interviews, you know? Josh: Yeah, for sure. And I think, subtly, having a good candidate experience is also a recruiting advantage. So not only are they having a good experience that are going through a hiring process, but it just says a lot about your organization that you put thought in these types of things. And that’s the type of company that I think any candidate would want to work at. So while yes, in the moment it’s creating a great experience and the candidate will tell their friends about it, how amazing the hiring process was and how seamless it was now organized it was, subtly it’s making them really want to work for your organization because they had such a good experience and a good impression of your company because you guys are the front lines. You’re essentially in the face of the company. It’s really important. So a company culture, obviously that’s something that you’re putting in your employer branding, you’re showcasing on the website. I think it’s really easy obviously for everybody to say we have a great company culture, in their job ads and everything and talk about how awesome it is to work there. But it’s another thing, to see that happen in real life. So what are you guys doing? What are some of the initiatives, maybe the outings or what are you guys doing as a team to really foster that family-type of environment? Jen: Yeah. So we have an organization within Levelup called the Fun Rangers. Josh: That’s awesome. I love it. Jen: Our head of HR wanted to call them the Power Rangers and – this is before I joined but – they eventually came to the name of Fun Rangers. So they meet actually about once a month and they talk about different events that they want to put on for the organization. So we have some consistent events that happen each month. So we have a birthday celebration that happens each month where we’ll have various birthday cakes that will be brought in. We also have what we call “nosh and knowledge” where different members of our organization will actually get up and present on a specific topic. So one of them that’s coming up will be on public speaking. Another one that’ll come up later on in the year will be on a cooking class. And then actually we have a cookie decorating as well, our Director of Workplace Experience will do one on cookie decorating. It kind of gets us in the mood for the holidays. So it’s usually in either December or November and she’ll do that one. Every year we have a summer outing where we’ll go to either a destination, last year we went to The Lawn on D and just did outside games. Before that we’ve actually gone on a boat cruise, and then during December or January we’ll have a holiday party where everybody and their significant others are invited to attend and just eat some delicious food and maybe take some crazy pictures, uh, and, and just get to hang out with each other and close out, close out or even open up the year. So we have different events that are placed throughout the year to keep employees excited, but also it gives them the opportunity to kind of engage with people that maybe they don’t get to interact with on a daily basis. We also have trivia nights that are scattered throughout the year as well where employees can be on different teams. You’re not, placed on a team, it’s really organic and you get to actually know, more of the people that you work with by just talking with them and working together to solve these trivia problems. Josh: That’s awesome. It sounds like a lot of fun. So would you say as far as like building a really good company culture, do you think like the outings and the team events are really what pulls everything together? Because obviously there’s a lot of stuff on the day-to-day, the different perks and what the actual work environment is like. But do you feel like the strongest contributor to a good company culture is just bringing everybody together for these non-work related outings or events? Jen: I think they all play a part. I think that the events definitely become a catalyst for people to get to know each other in maybe more of a comfortable setting and actually get to know each other as humans instead of, “This is my coworker that I need x from.” You actually get to know, you know, oh, this is my coworker and they own like five corgis. It’s fun to get to know people as people instead of people as that project manager or you know, the software engineer. We’re not defined just by, the job that we do. That also leads to, talking a little bit more about our diverse background of people here. As I mentioned, I have a degree in vocal performance and opera. We actually have people that come from being circus performers. We have people that are part of the fire throwing community here in Boston. We have people that are involved in various other organizations as well throughout the company. So it’s cool to actually get to know other people and what they do, like their side hustle pretty much. Josh: Yeah. No, I think everything you’re saying makes total sense. Like it’s really important to get to know people like outside of actually what they do. But along those same lines, I think it’s really easy, for a company, [where] you’ve got all these different teams, you’ve got engineering, you’ve got sales, you’ve got support, everybody’s kind of siloed, right? Because they’re all doing their work, they collaborate with each other throughout the day, but they don’t really know exactly what this developer does, versus other developers, what the salesperson does, verse this account manager. So I think some of those events are outside of work, but even stuff that you can do in the office to like bring everybody together and have these different teams mingle with each other is really important because that’s where like people really get to see what others are actually doing within the organization and how their role on a specific team might be different from another person’s role. So I think that’s definitely a big aspect of company culture is getting to know those things as well. Jen: Definitely. And another thing that we do to have transparency is every single month we actually have a department or a company-wide lunch where we actually talk. Each department actually gets up and talks about the projects that they’re working on right now. It’s a quick one to two minute hit the highlights of what your department is doing, but it’s also just interesting to get to know what every department is doing and their successes and share and celebrate in their successes of what they accomplished over that last month. Josh: For sure. For sure. All right, well this brings me to career growth. I know I said I was going to circle back to it. So one of the things I wanted to get back to you, because I know it’s obviously really important to you. That was one of the stories you brought up earlier in the conversation and it pops up a ton on your linkedin profile. Just how you’re trying to foster growth for employees that all these different companies that you’ve worked at. So is this something that, obviously you have a strong focus on it within the organization, but is it something that’s a key part of your recruiting strategy, like as you’re talking to candidates, you’re talking about how they can grow and where you guys can see them moving up within the organization? Jen: Yeah, I definitely think it is a key focus of mine. So I kind of take a matchmaker approach to recruiting. I know that candidates are interviewing me justice and members of our team just as much as we’re interviewing them. Especially with this market, candidates can be pretty picky with the roles that they want. So you really want to ensure that, they’re going to find the right role for them that is truly fulfilling. I actually ask a speic question to most candidates and I say, when you’re vetting out companies, what is the most important thing to you when you’re vetting out either a new company or a new position? And I like this question because you really get to know the candidate and understand what motivates them and what’s going to drive them to take a new role. You might learn a little bit more about their career path or career progression that they want to have or you might learn that maybe they don’t know what it is yet and that leads into the consulting side of recruiting where you might help them find their way. I want to make sure that candidates, if they choose to come work at LevelUp, they have a successful time and always feel fulfilled working here. But then in addition, if there isn’t a role right now for them here, we’re a startup, we grow and lots of new positions come available. So, I want to keep them in mind for future opportunities as well. So I definitely like to talk about career growth internally and how we’ve seen it fostered internally. But I also want to know what the candidate wants for career growth because I feel like each person I talk to has a different key point in mind about what they are, or how they view career growth. Josh: Alright. So I hope everybody wrote down what is the most important thing to you as an interview question to ask because I’m definitely stealing that and asking that and all future interviews. Cuz I love it. That’s awesome. Jen: It’s one of my favorite questions. I really, really like it. Josh: Cool. Well thanks so much. That’s awesome. So I guess, as far as for the people listening, right, they’re listening for a reason. They want to learn something. I know there’s a ton of stuff that they’ve been able to take away, but is there anything like – the thing that I hear as I’m listening to you talk is like you’ve just done a really good job at putting programs and strategies in place and making sure they stick. It sounds like you guys just have a really well-balanced recruitment strategy. It’s really well structured. You know what your goals are moving forward. You know, the things that you want to try out and then you know to make sure, you know how to make sure that people stay accountable for keeping these programs and these different initiatives in place. So for people that are trying and are very ambitious to build out a recruitment strategy like the one you guys have at LevelUp, what advice can you give them? Like how can they emulate some of the things that you guys have been doing at their own organization and making sure that it sticks. Jen: Yeah. I think that the first thing that you have to do is build trust. So one thing that I actually came in with and was very, very, very fortunate [with] is everyone within the organization has this level of trust and also this level of involvement in recruiting. So recruiting for LevelUp is really a team sport. Everybody here is a recruiter and I think that comes down to building that first baseline of trust. So understanding what each hiring manager is actually looking for and being able to communicate with them, keep them updated, making sure they never feel like they’re in the dark. That’s really important. And then as far as an overall recruiting strategy, I definitely think that we do use data a good bit to kind of inform our decisions. So, we don’t set hard numbers as far as “I have to hit this many per week”, but we are cognizant of how many calls will translate to onsites and how many onsites will translate to offers and offers to hires. You definitely want to be aware of those kinds of metrics, but you also want to make sure that you’re communicating those metrics to hiring managers as well. Josh: That’s awesome. Yeah. And if you know those metrics, your recruiting process becomes somewhat predictable, right? Like, you know with certain inputs you’re going to get certain outputs and then if there’s new strategies that you implement and you can increase and improve and optimize some of those results, your strategy’s still repeatable and predictable, but now it’s just yielding better results. So you just got to change some those inputs and you have more of the output. That’s awesome. So let’s run through. I’ve got five questions to ask you about some of your favorite things that you ready? Josh: Okay. So favorite place to find candidates. Jen: Oh, that is a tough one, actually. Josh: There’s a lot of sources out there, but you gotta pick one. Jen: See, it’s funny you say that because I would probably say favorite place to get candidates from is our employees! Josh: Ah, I love it! Jen: Our referrals are great. Right now we’re about 30 percent on referrals and we might bump it up a little bit this year. When I was at Fiksu, we actually got it up to like 65 percent. It was kind of crazy. I think that that is a phenomenal resource. You know your employees’ networks are really huge. If I had to pick a software that would be really – or like a tool where I’m having to leverage it, that would be difficult because I mentioned stack overflow and I mentioned LinkedIn a little earlier and those are great resources, but if I was being completely honest, I think my employees are my biggest resource and biggest champions. Josh: Yeah, that’s a great answer and probably leads to like your best long term hires, right? Like I’m sure you’re getting obviously great people from those other sources too, but there’s nothing like an employee referral, so that’s awesome. Great answer. What about favorite part of your job? Jen: Oh, everyday is so different. I feel like I talked to a lot of candidates with different backgrounds and different personalities and I never have the same call. So I like that kind of unpredictability I guess. Josh: Cool. Favorite sports team? Jen: Oooh. Um, Boston Red Sox. Josh: Okay, nice. I was gonna guess Patriots and then I was going to say I’m sorry that they just lost the Super Bowl. Jen: I appreciate the Patriots, but I’m not a major football fan. Josh: Okay, cool. Favorite hobby? Jen: Uh, favorite hobby. So favorite hobby is sewing. For the past few years, I have made my Halloween costume for myself, my husband, and our now three year old. Josh: Wow. That’s pretty impressive. That’s awesome. All right, now this, this is the tough question because there’s so many options. What is your favorite TV show to binge on Netflix? Jen: Oh, okay. This is so tough because I have two ways I would go about this. So I love New Girl. It is just great comic television to watch it over again. But I have a place in my heart for Grey’s Anatomy. I fall asleep to watching Grey’s Anatomy at this point and I know exactly where I left off in the episode. I’ve watched way too many times. It’s my guilty pleasure. Josh: Nice. Right on. Awesome. Well, those are some great answers. This was an awesome podcast and conversation. I think everybody that listens to it, is going to learn a ton. I think you should look into doing some speaking at some conferences. I feel like there are a lot of events out there that could get a lot of value from what you have to say. So that’s a good takeaway for you to look into, for sure. So if people want to connect with you, where can they find you? What’s the best place for them to reach out? Jen: Yeah. So they can, um, they can look me up on Linkedin and they can actually find me on Twitter. My Twitter handle is married to it. And they can also just email me as well. I’m at Jen at the level up. Josh: Great. And if people are interested in a career at LevelUp where should they go? Jen: Right. So they should go to the LevelUp careers page. Josh: Perfect. Anything else you’d like to add before we sign off? Jen: For anybody who is interested in getting into recruiting, I think, if you have a fascination or a passion for people and customer service that this is a great line of work. It is extremely fulfilling when you actually find somebody their job and it makes me happy. Josh: Great. Jen, this was amazing. Thank you so much for coming on the podcast. Hope everyone enjoyed it and thanks. Have a great day.